Studies on the benefits of probiotics remains with the experts. In recent research, scientists discovered the benefits of these bacteria in children, namely, reducing the duration of diarrhea and prevent diarrhea due to antibiotic use. Research presented at the American Academy of Pediatrics has concluded an investigation of quality. But experts say there is no strong evidence to suggest the use of infant formulas containing probiotics. 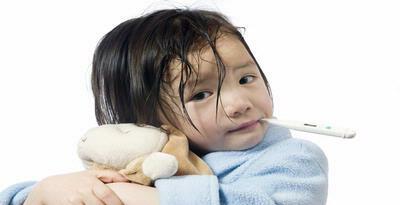 Probiotics are not recommended for children suffering from serious diseases. During this time food and beverage manufacturers always claim their products are probiotics nourish the digestive system and boost the immune system. In fact, there has been no research that can accurately demonstrate these claims. In the latter study of children who received probiotics from the beginning suffered from diarrhea due to viral infection heal more quickly. Probiotics also can prevent diarrhea in children who take antibiotics. However, children who suffer from immune disorders or use the catheter is not recommended to consume probiotics, which can cause serious infections. Dr.Tod Cooperman, researchers conducting studies on probiotics, noting that the benefits should be considered again if a probiotic is consumed in a viable state. “We need to know that organisms in probiotics, either supplements or foods and beverages, often already dead even before the product is labeled,” he said. In its research products, food and beverages to children probitok only probiotic that contains 21.7 percent of the amount listed on the label. For bacteria to survive, the product should be stored in a protected location, away from heat, light and moisture.